While they could hardly not report on it, I sense a lack of enthusiasm in Saudi media’s reporting on the clash between Egyptian President Morsi and the Egyptian judiciary. I guess I shouldn’t be surprised, though, as an independent judiciary with powers to review laws is not at all part of the Saudi political system. Reporting tends to cast this conflict as simply a power struggle… who gets to tell whom to do what. It’s far more than that. An independent judiciary is crucial to justice. At present, Morsi hold the office of Executive; his party dominates the Legislature. The only thing that stands between them and tyranny is the judiciary and the Egyptian system of law. 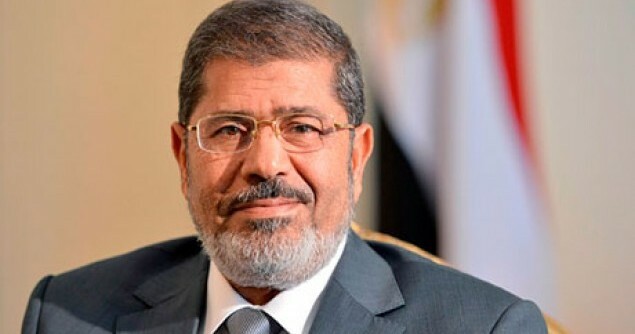 By declaring that he is able to make and enforce law, either overriding or side-stepping legal process, Morsi does indeed declare himself tyrant. Calling him the “New Pharaoh”, as his opponents are now doing, is exactly correct. He is seeking to remove the last check on his power short of revolution. It is not enough that Morsi has lots of supporters, even a majority of Egyptians. He is still bound by law as written in Egypt’s constitution. With the power and popularity he has, he might well be able to amend the constitution, stripping it of the protections it offers to Egyptians and their rights. That is not what he has done, however. Rather, he has just claimed the power to act as he will. Egypt’s Muslim Brotherhood called for protests across the country on Sunday to support President Mohammed Mursi, while the country’s judges urged for a nationwide strike against a decree they saw as granting Mursi new, extensive powers. On the ground, clashes erupted outside the High Court between supporters and opponents of Mursi’s new constitutional declaration while the Judges Club held an hours-long emergency meeting inside. CAIRO – Egyptian judges Saturday slammed a decree by President Mohamed Morsi granting him sweeping powers as “an unprecedented attack” on the judiciary, and courts across two provinces announced a strike. The constitutional declaration is “an unprecedented attack on the independence of the judiciary and its rulings,” the Supreme Judicial Council said after an emergency meeting. The council, which handles administrative affairs and judicial appointments, called on the president to remove “anything that touches the judiciary” from the declaration. Meanwhile, the Judges Club of Alexandria announced “the suspension of work in all courts and prosecution administrations in the provinces of Alexandria and Beheira. I disagree with you, one of the most heavily engaged in reporting the Egyptian event is theSaudi owned news channel, Alarabiya. Even close members of Mursi aides voiced their anger against the channel. The scene is divided between the Qatari A,jazirah, which sided with Muslembrothers camp and Alarabiya is backing the liberal opposition.